Rely On Technologies has a history of working with the largest multi-shop organizations in the country. 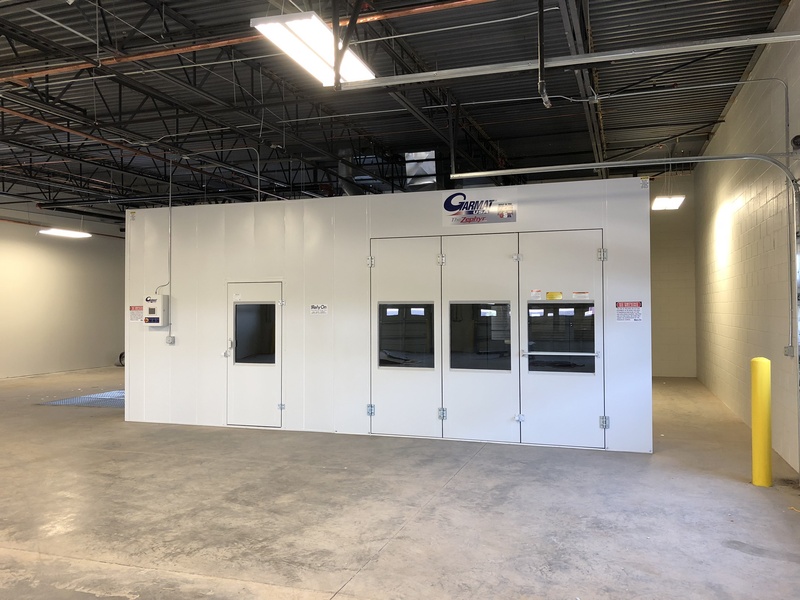 Most recently, Arizona’s Service King Collision Centers approached Rely On in 2017 with a unique opportunity to build Garmat equipment at three new locations throughout the state. Currently, we are in the midst of completing the three shops. Two of the three shops are completed and already highlight the success to come. Service King, Gilbert, AZ – The first Service King shop built is located in Gilbert, AZ. 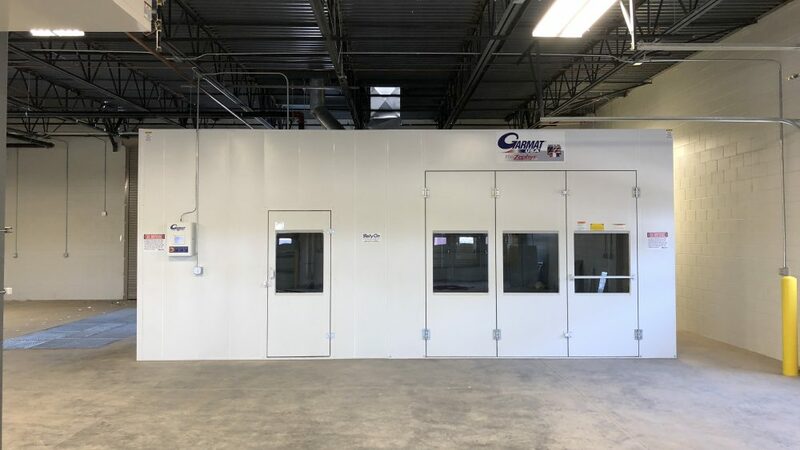 The equipment footprint for all of the shops is a 27’ drive-thru Garmat Zephyr Down Draft paint booth with paint mix-room. 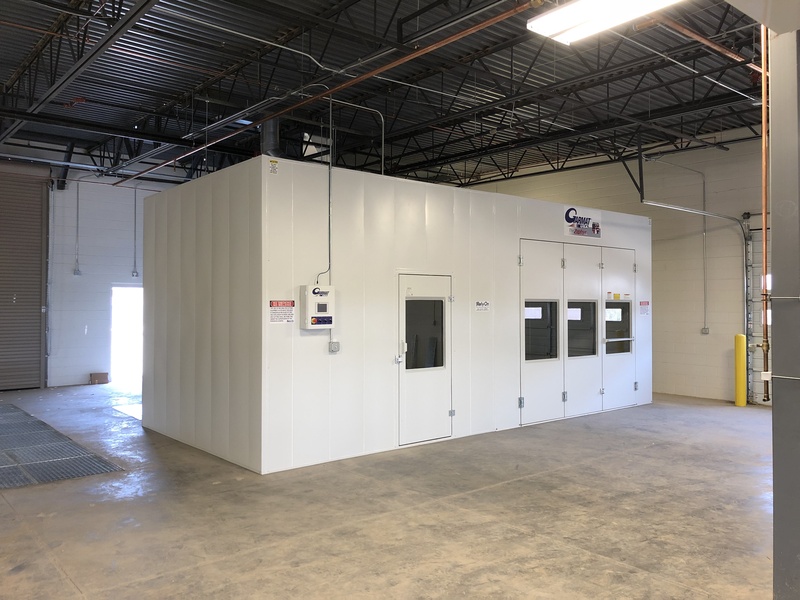 Rely On discovered that city officials were new to the world of industrial paint spray booths. As a result, we found ourselves patiently teaching plan checkers about paint booth equipment—and happily obliged as to not hinder our progress! Once the inspector approved our permits, the installation carried on as normal. Once our crew promptly installed the booth without issue, the booth was inspected, fired-up and balanced. 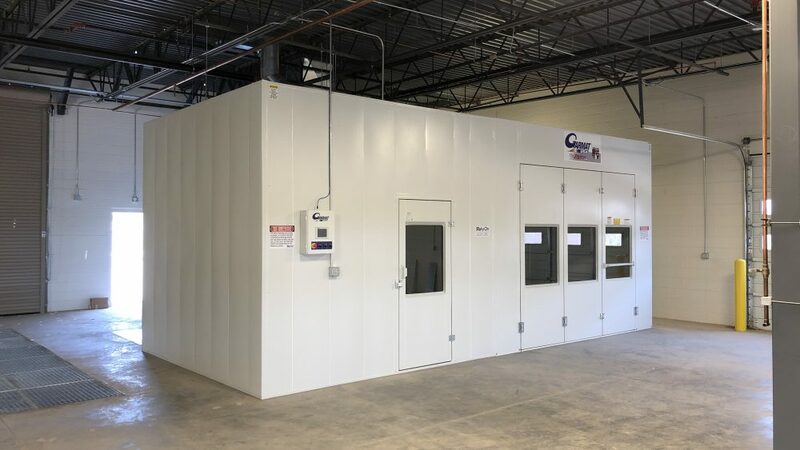 Production started immediately, and Service King was able to open its doors. 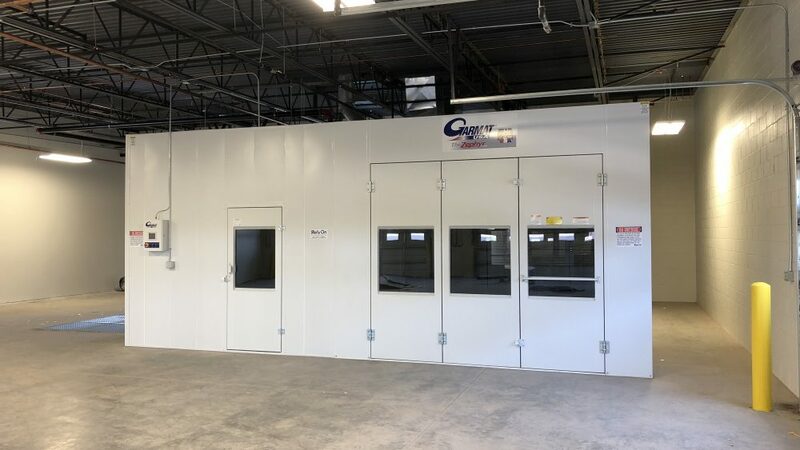 Service King, Goodyear, AZ – Completed with the same layout as the first installation, the second shop posed a few more challenges. Arizonan weather conditions posed an issue; monsoon season began, and power outages and mud would add time to the project as a result. Newly promoted foreman Erick Ortiz kept the goal in sight, visited the project on a regular basis, and completed the project in a shorter time with five days spared from the project—completed before the disastrous weather arrived. Service King, Surprise, AZ – The third shop is located in Surprise, AZ, and is currently in plan check. We will be scheduling this install soon. 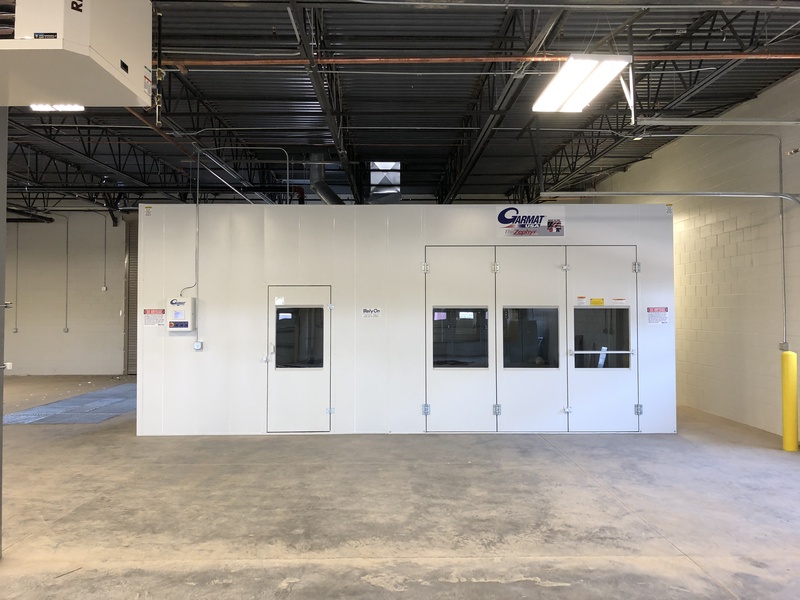 Since 1983, Rely On continues to be the industry leader in spray booth equipment and installation, shop layout and permit acquisition. We continue to expand our outreach and provide the exceptional quality of service that all clients—past, present, and future—expect from our brand.